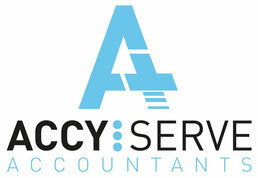 Self-employed business travel - Website of accyserve! This is an area HMRC is taking a much closer look at because restricting travel expenses can raise a significant amount of additional tax as for many self-employed individuals travelling is a major cost. The basic position is business travel is an allowable expense but just exactly what this is not as straight forward as you would expect and depends on where your main place of business is and how you perform your services. If your main place of business is not your home then home to work travel is not going to be allowable. However, if for example you pick up goods from a warehouse on your way to work a proportion of the travel costs should be permitted. Where home is the main base of the business and where your work involves travelling or is itinerant and the work radiates around your home than travel costs are deductible e.g. if you are a subcontractor living in Birmingham and you mainly work in the Midlands then your travel costs should be okay, however if most of your work is in London then the cost of travelling from Birmingham to London would not be allowed although once in London normal travel cost between sites would be acceptable. Where home is a place of business but you regularly work at another location then home to work travel would not be allowable e.g. if you are a service engineer and you carry out your main duties at a couple of fixed locations. This is becoming quite a complex area and your individual travelling arrangements need to be fully considered; please contact us for more information.